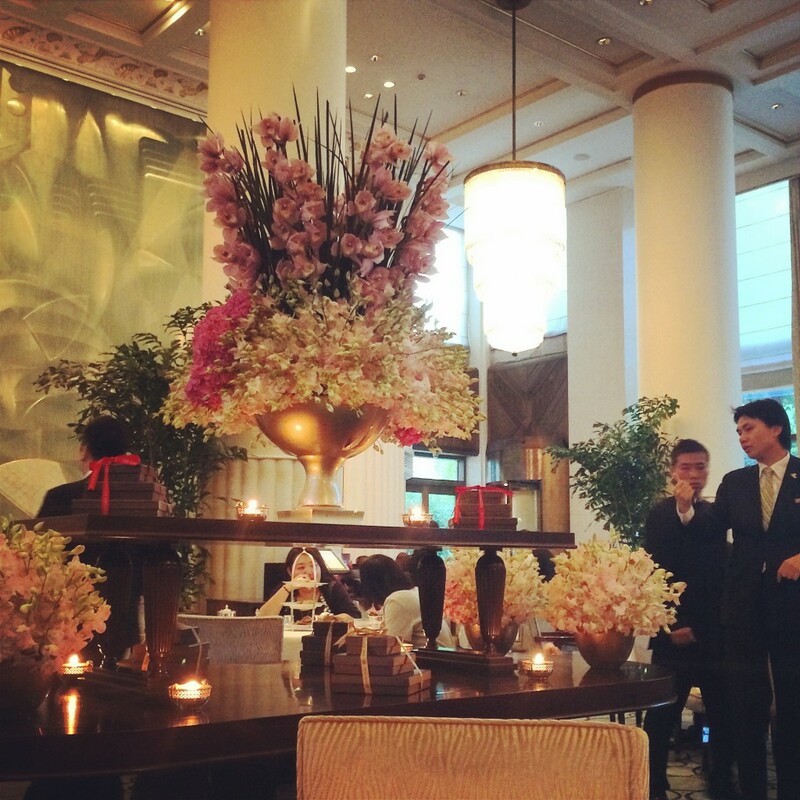 A doorman fully dressed in white opened the door to the Peninsula Shanghai hotel. As I walked through the door, I was surprised to find just a few steps away, a fully occupied room of afternoon tea goers. 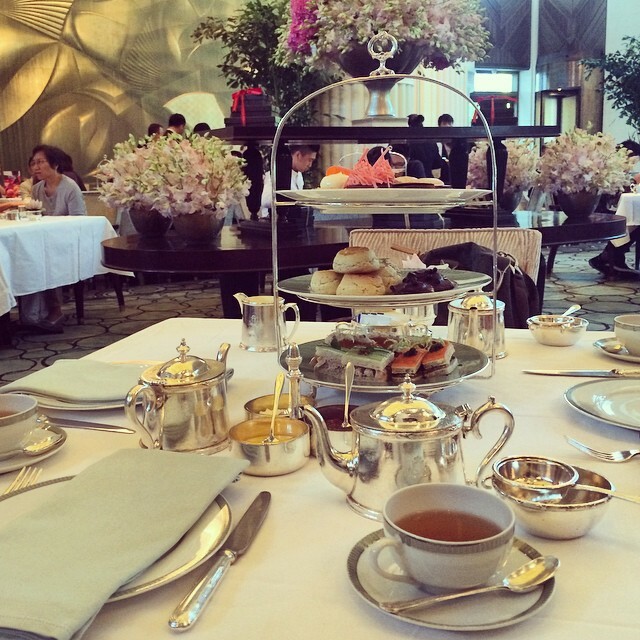 The Peninsula Shanghai does not accept reservations for afternoon tea held in The Lobby daily from 2-6 pm. I was told the wait could be up to an hour and a half. 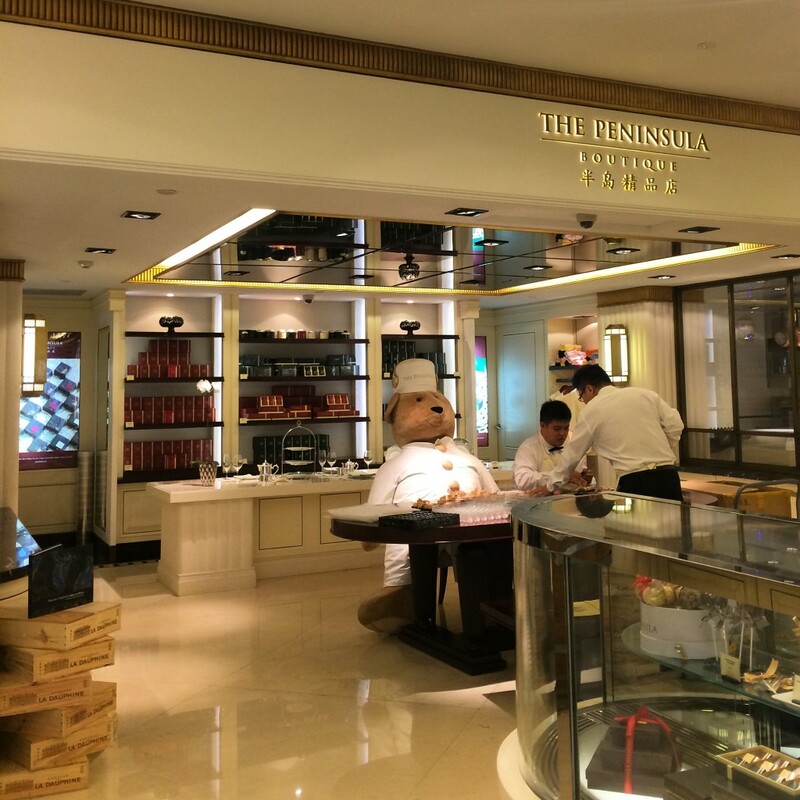 Waiting won’t seem long as there are several high end stores connected to the hotel to browse through including The Peninsula boutique where you can purchase tea and the same tea pot, cutlery and afternoon tea tray used in The Lobby. Just 30 minutes later, my mom, aunt and I were brought to a table close to the center of The Lobby for my first afternoon tea in Asia! The Peninsula Shanghai is located on the Bund, a waterfront area overlooking the newer part of Shanghai, Pudong. The Bund is one of the places you can’t leave Shanghai without visiting, which makes The Peninsula Shanghai situated in a prime location. Although there is no view from The Lobby where afternoon tea is held at the Peninsula Shanghai, the live classical music coming from a violin, cello and piano in the far corner makes up for it. 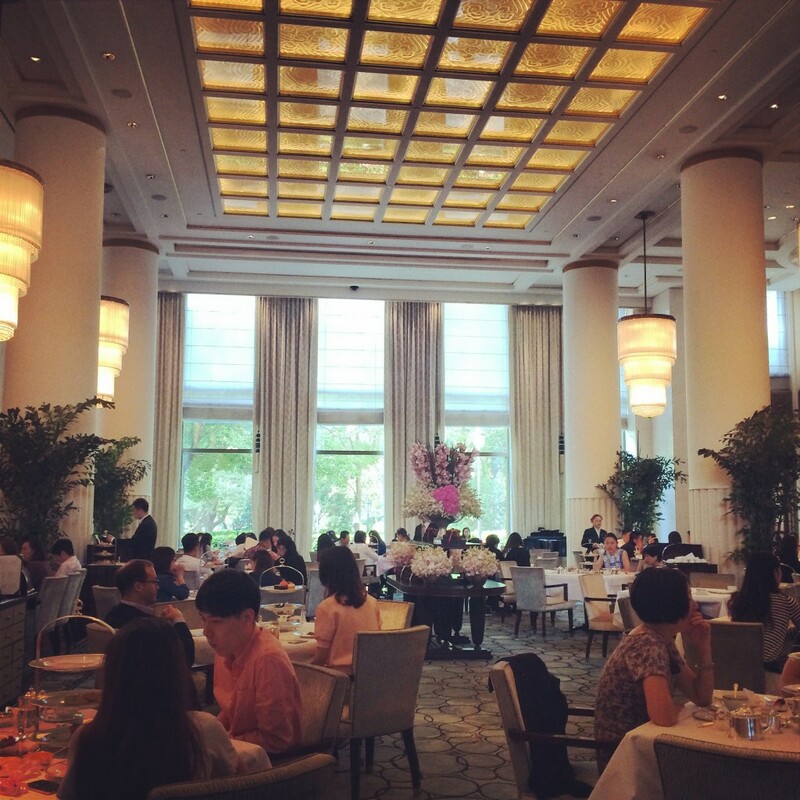 Afternoon tea at the Peninsula Shanghai is very popular among locals and tourists so it is very busy and tables were always full. But real flowers, pastel green walls and plenty of natural lighting makes the room feel open and lively. Among the usual earl grey and herbal teas was Peninsula Blend. I always chose the tea that’s unique to the hotel so without a second thought, I ordered it. It turned out to be a somewhat normal black tea. 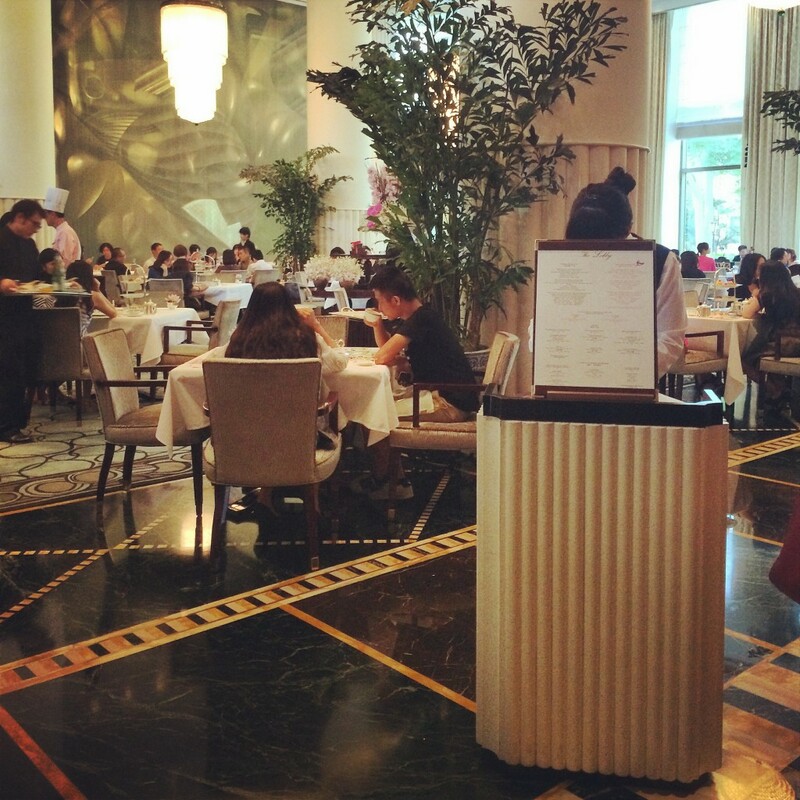 The Peninsula Shanghai also offers a selection of Chinese teas (Jasmine, Pu Er or Tie Guan Yin). 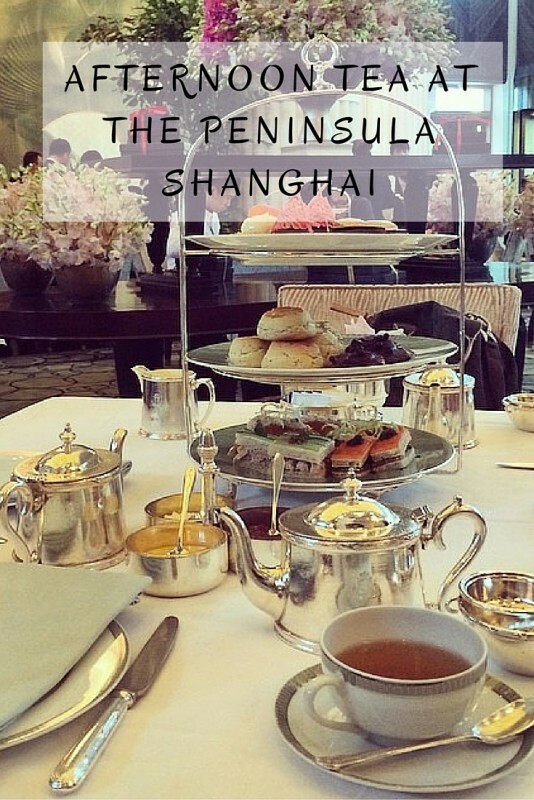 The Peninsula Shanghai offered two tea packages in the month of October (when I had tea). Since October is breast cancer awareness month, there was a “Pink French Afternoon Tea” where The Peninsula Shanghai will donate $5 from every Pink French Afternoon Tea to a local breast cancer charity. I opted for the traditional Heritage Afternoon Tea which is available year round. It came in a three tiered afternoon tea tray. Of the savory tier, the highlight was the “goat cheese tart with summer ratatouille, fresh thyme”. Scones that were slightly warm and a tad crunchy on the outside came with the usual cream, strawberry jam and lemon curd. Honestly, I wasn’t a huge fan of the pastries- a bite sized red velvet cupcake with strawberry cream and coffee macarons among others. Most of the pastries were filled with different flavored creams like mint and chocolate. You can also order afternoon tea a la carte. Unfortunately, the Peninsula Shanghai does not have a Twitter, Instagram or Facebook page. In addition, the Peninsula Hotels does not have an official Twitter account, just Facebook though some of their properties have their own Twitter, Instagram and Facebook pages. 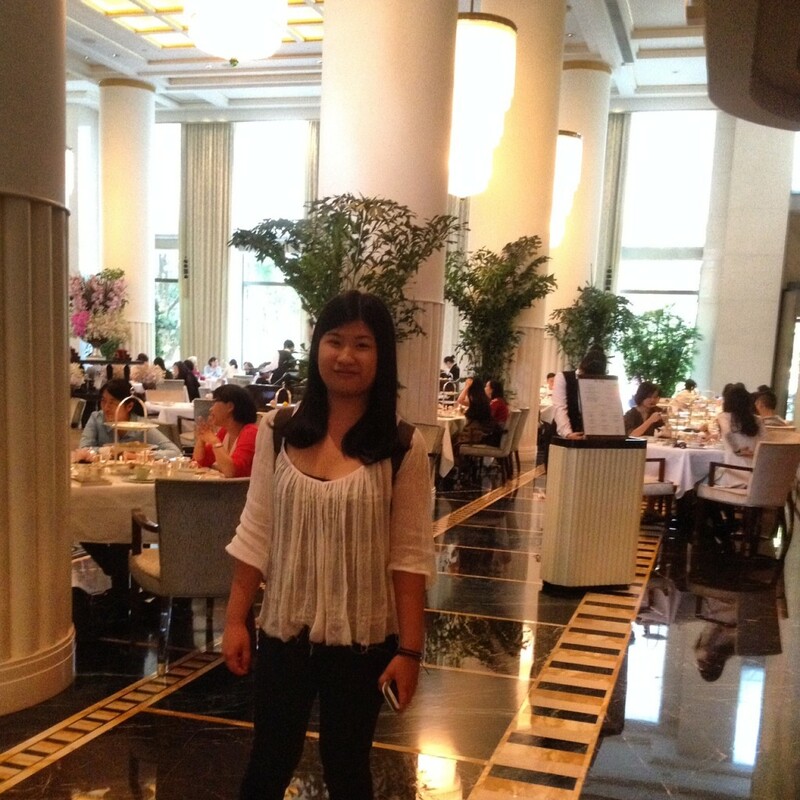 Therefore, I did not engage with the hotel prior to having afternoon tea at the Peninsula Shanghai. The food and tea weren’t the best I’ve had but for an experience of afternoon tea in China, the Peninsula Shanghai is the place to be at. Lots of locals flock here making it a good place for people watching. And the ambience made it an enjoyable place to converse with my mom and aunt.